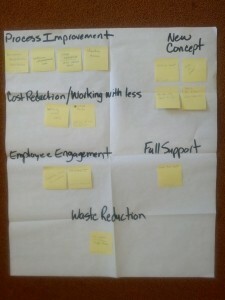 Former Michigan Tech Lean consultant, Mike Taubitz, is featured in a podcast on Leanblog.org. Check it out HERE! Barb Ruotsala (retired, past UAW President). Theresa Coleman-Kaiser (Assistant VP for Administration) moderated the panel presentation. 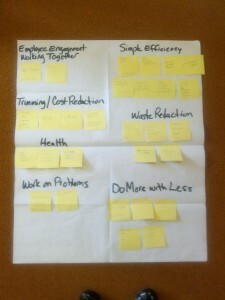 At the beginning of each presentation the panel used a tool called the Affinity Diagram to gather thoughts and opinions from the audience on what they thought about “Lean” in 3 words or less. While a presentation was given regarding the key concepts of Lean and how Michigan Tech has been utilizing Lean methods and tools, Theresa Coleman-Kaiser was organizing sticky note responses from guests into family groups by their affinity. This tool allowed us to better understand our audience, gave them a connection to our presentation, and allowed us to have a well moderated and engaging open discussion period. Training for these staff is supported by a grant from the Federal Mediation and Conciliation Service. 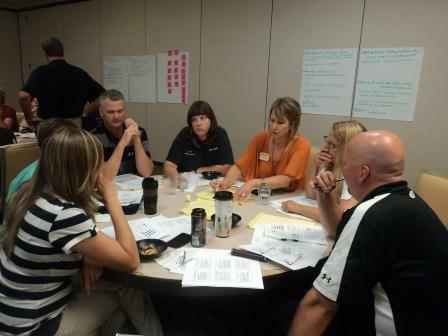 Lean Facilitators – trained to facilitate Kaizen Events for any campus department or area interested in making improvements. 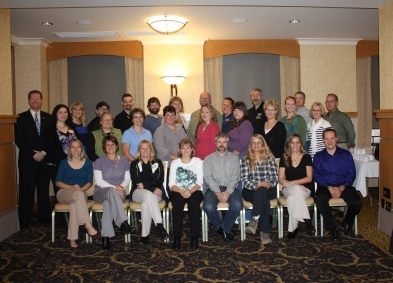 Lean Implementation Leaders – trained in Lean concepts aimed at building a Lean practice into the day-to-day work for an area or department. 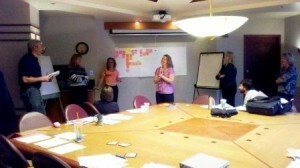 During the last training sessions each trainee participated in a Kaizen Event. 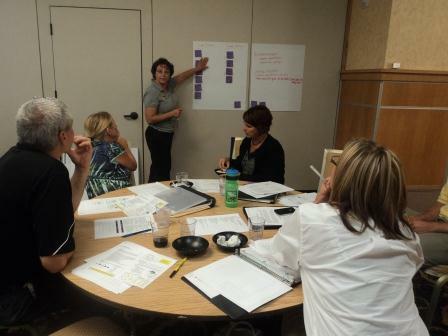 The Lean Implementation Leaders chose a problem within their department for teams to work through and the Lean Facilitator teamed up to practice their Kaizen Event facilitation skills. Thank you to all our trainees, our consultants, and Manager of Process Improvement, Wendy Davis for making these training sessions so enjoyable and valuable! Recently, Assistant Vice President for Administration, Theresa Coleman-Kaiser was interviewed for a Radio show on Michigan Business Network’s website . Theresa spoke about our Lean Journey and how Lean principles are becoming more widly practiced here at the University. Team members will become “lean thinkers” at different times; keep moving forward, sharing successes and lessons until you hit the tipping point for true culture change. Fairness and respect for all are cornerstones. Do not attempt changes/improvements without the input of affected stakeholders. Kari, far left, with her fellow Lean Facilitators during training. The third training session for Michigan Tech Lean Facilitators and Lean Implementation Leaders was held this week. These two training groups have four more sessions to complete the training. As a result of the training sessions, the participants will be expanding their training knowledge as they support future Lean improvements here at the University. 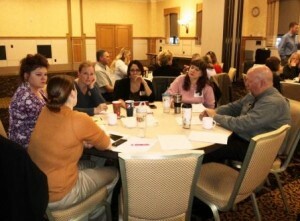 If you are making improvements in your area or department, please contact me to have a facilitator help you out! Mike Taubitz is a retired General Motors manager. He has over 40 years of experience implementing Lean practice and culture. Mike currently serves as the Michigan Lean Consortium Secretary and is the principal of Lean Journey, LLC. Larry Osentoski is a Michigan Tech alumnus from Electrical Engineering. He is the owner of DRIVE Developments, Inc. and uses Lean concepts to shape his business practices. There will also be opportunities for Lean learning available to all staff and faculty during consultant visits. 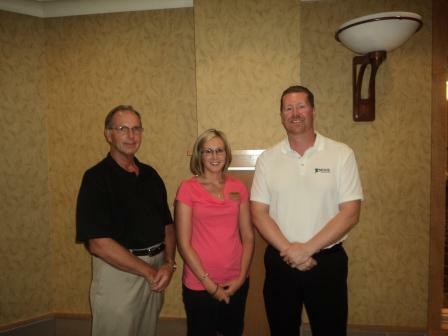 Mike and Larry will be on campus about 2 days per month from May – November 2012. Please watch this blog and Tech Today for Lean training announcements! This cohort is designed to be half represented (union) employees and half non-represented employees. This group will develop a practiced understanding of what makes a Lean Organization, the Key Principles of Lean, and various tools and concepts. They will understand their role in improvement events, and will practice their skills by facilitating on-campus improvement events after the training. This training is for non-represented staff that are positioned in their department or work areas to plan and implement a lean transformation. The training will give them a working knowledge to become a Lean practitioner and hands on experience applying Lean problem solving methods. Stay tuned for details on a series of information sessions to learn more about these opportunities. Things have been busy, October came and went in a blur. October was the first month of an 18 month grant cycle for a $55,006 grant received from the Federal Mediation and Conciliation Service Labor-Management Cooperation Grant Program. The grant will support the Continuous Improvement Labor-Management Advisory Committee; an 11 member committee, composed of six “management” staff and five union staff (all three of Michigan Tech’s unions represented). The committee was put together to further develop the Continuous Improvement using Lean Principles Program as a method to improve labor-management relationships and increase staff participation in enhancing work environments. 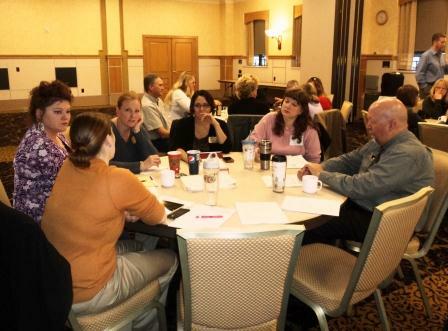 Develop a Continuous Improvement/Lean Facilitators’ Training Program to train new facilitators and provide continued education to current facilitators. Recruit and train a cohort of 10-15 new campus facilitators, consisting of at least 50 percent unionized staff members. 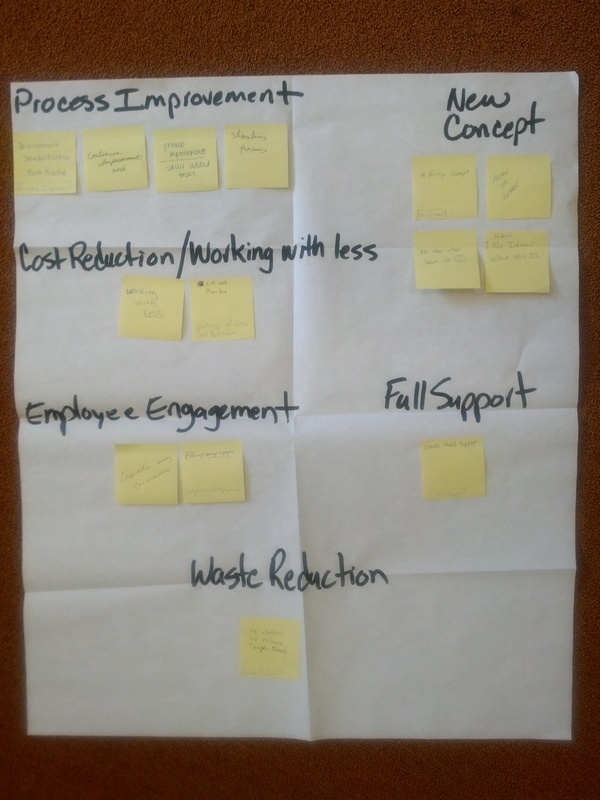 Develop an outreach and training program to introduce supervisors and management to the Lean model of continuous improvement and how it can enhance work processes and labor-management relations. Provide training to Michigan Tech employees who are key to managing and expanding the Lean continuous improvement programming developed as part of the Project. 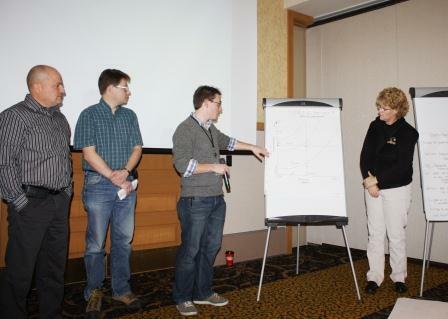 Sharing Michigan Tech’s model at a regional and national level via publications and presentations at key conferences, meetings, and workshops. It is an exciting time period for Michigan Tech’s Lean Journey, the next 17 months will be busy yet rewarding.